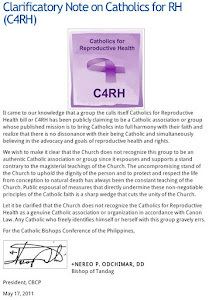 MANILA, May 23, 2011―By pushing for the Reproductive Health (RH) Bill, authors and advocates of the measure are calling for the passage of a bill which merely duplicates already existing laws that aim to address problems concerning women's welfare. 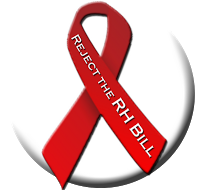 "There's no need for the RH bill. The Magna Carta for Women and the Anti-Violence Against Women and their Children Act of 2004 already cover it," said Jose Descallar, pro-life advocacy staff of Buhay Party List Rep. Mariano Michael Velarde. "These laws address the issue of abuse and domestic violence, provide economic rights, political rights and cultural rights. Iyong dalawang laws na 'yon, covered na lahat ng iyan." Issues of equal opportunities for employment, and guaranteeing assistance of the State to women are also part of the laws, according to Descallar. "And then sabi nila pa'no yung mga babae na ang mga asawa ay lasenggo? Pag-uwi ng bahay ay pipilitin si babae, so might as well mag-pills na lang si babae, mag-inject na lang, mag-IUD na lang para huwag mabubuntis. Hindi mo ina-address yung violence against women," he explained, pointing out that this is the reason why the legislators came up with an anti-violence law. "Ang dami na nating batas, implementation lang ang kulang. There's also the Family Code, the Revised Penal Code... We don't need this (RH) bill," he added. 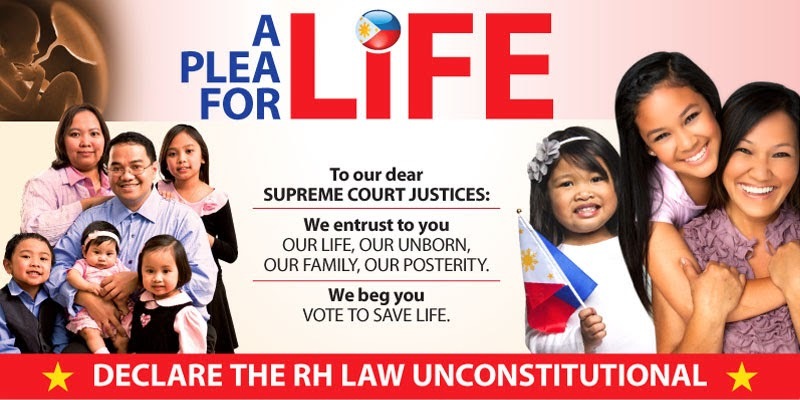 The Magna Carta of Women, or Republic Act 9710, which was signed into law in 2009 by former President Gloria Macapagal-Arroyo, includes women's health among its provisions. Under Rule 4: Rights and Empowerment of the law's Implementing Rules and Regulations (IRR), the delivery of comprehensive health services is mandated, with the involvement of government and private agencies tasked with implementing the program. "The State shall, at all times, provide for comprehensive, culture-sensitive, and gender-responsive health services and programs covering all stages of a woman's life cycle and which address the major causes of women's mortality and morbidity: Provided, that in the provision for comprehensive health services, due respect shall be accorded to women's religious convictions, the rights of the spouses to found a family in accordance with their religious convictions, the demands of responsible parenthood, and the right of women to protection from hazardous drugs, devices, interventions, and substances." Through the Magna Carta of Women, access to a list of comprehensive health services is ensured, including maternal care (pre-natal, delivery and post-natal services); responsible, ethical, legal, safe, and effective methods of family planning; family and state collaboration in youth sexuality education and health services without prejudice to the primary right and duty of parents to education their children; and prevention and management of sexually transmitted infections (STIs), Human Immunodeficiency Virus (HIV) and Acquired Immuno Deficiency Syndrome (AIDS). Other health services provided for by the law are prevention and management of reproductive tract cancers such as breast and cervical cancers, and other gynecological conditions and disorders; prevention of abortion and management of pregnancy-related complications; and in cases of violence against women and children, women and children victims and survivors shall be provided with comprehensive health services that include psychosocial, therapeutic, medical, and legal interventions and assistance towards healing, recovery, and empowerment. Agencies tasked with implementing the provisions for comprehensive health services are the Department of Health (DOH), Department of Education (DepEd), Philippine Health Insurance Corporation (PhilHealth), Department of Labor and Employment (DOLE), local government units (LGUs), and non-government organizations (NGOs). Proponents of the RH Bill have lately been emphasizing the need to give women access to information, which, it turns out, is already part of the Magna Carta of Women. Under Rule 4, Section 20 on "women's right to health", it maintains that “the State shall provide women in all sectors with appropriate, timely, complete, and accurate information and education of all the above-stated aspects of women’s health in government education and training programs, with due regard to the (1) The natural and primary right and duty of parents in the rearing of the youth and the development of moral character and the right of children to be brought up in an atmosphere of morality and rectitude for the enrichment and strengthening of character; (2) The formation of a person’s sexuality that affirms human dignity; and (3) Ethical, legal, safe, and effective family planning methods including fertility awareness. Tasked with the implementation of these education and training programs are the DepEd and the Commission on Higher Education (CHED).